CEOMOM Magazine is excited to be a GlamCon 2017 Media Sponsor! #GLAMCON debuts as a one-of-a-kind and first of its kind event celebration in Dallas! On October 7, join hundreds of women touched or affected by breast cancer. 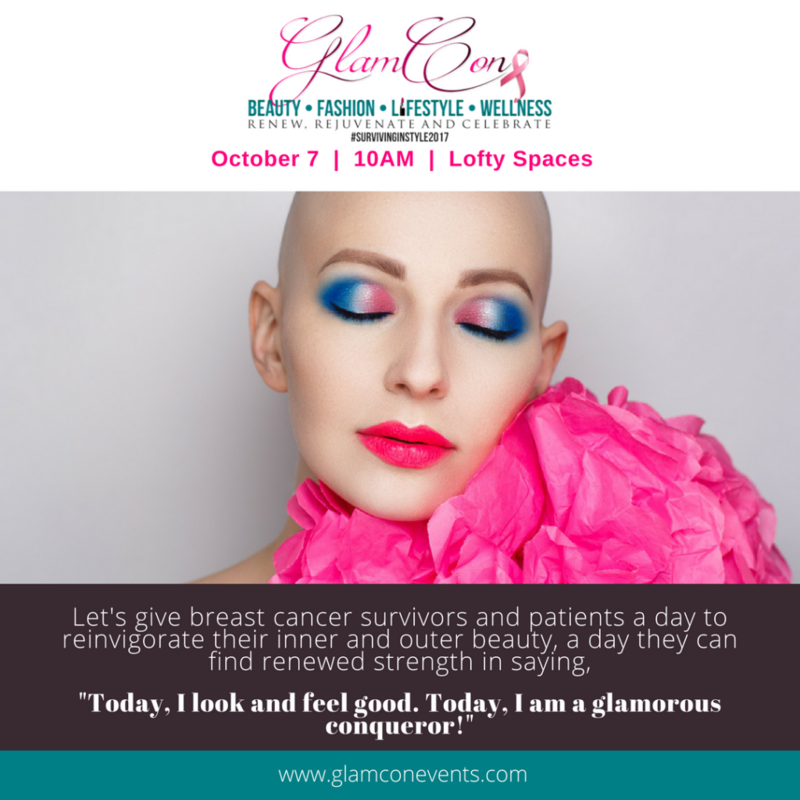 In our first event, GLAMCON will celebrate 100+ survivors and patients with a day of beauty resources for their skin, empowerment workshops for their spirit, and networking with inspiring women for their soul. To give breast cancer survivors and patients a day to invigorate their inner and outer beauty. A day they can find renewed strengths in saying "Today, I look and feel good. Today, I am Glamourous Conqueror!"